Marvel Strike Teams puts players in the role of some of their favorite Marvel Universe heroes and villains. Two to five players face off in a classic battle of good versus evil. 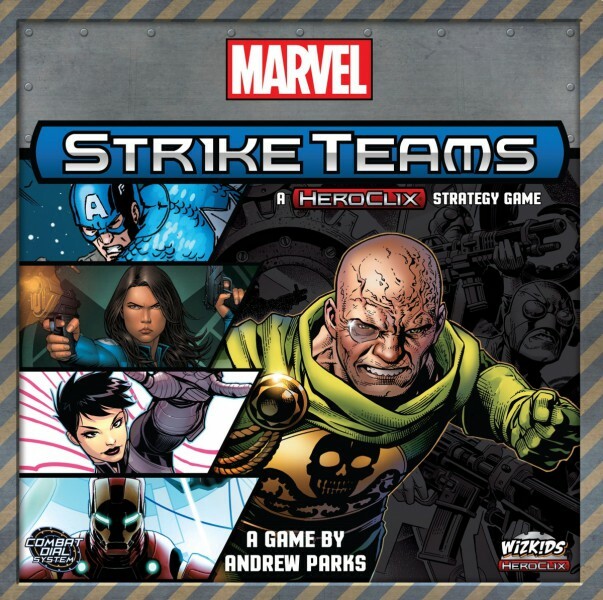 Everyone gets a character with a HeroClix combat dial to track their level and build points. 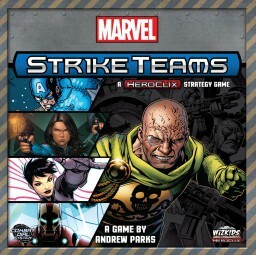 One player is the villainous mastermind and is able to guide the direction of each encounter; the rest are the heroes who each control a single hero for the mission and must work together by combining their vast array of powers and abilities to complete various objectives, such as infiltrating an enemy warehouse or saving hostages. Each hero is unique with individual play styles, giving players multiple options to play the way that best suits them. The environment also lends to the game play, putting obstacles in the way of players and granting them objects they can use as weapons. A wooden crate may block Captain America's path, but he can pick it up and hurl it at enemy Hydra soldiers. Players will quickly pick the role that best suits their team and lead the heroes to victory — or at least they hope so! Aside from standalone missions, Marvel Strike Teams includes a campaign-based game in which the players can improve their heroes over the course of several missions. With randomly generated scenarios, multiple map tiles, and thousands of possible encounters, each mission will feel like a fresh experience! Weiterführende Links zu "Marvel Strike Teams"
Kundenbewertungen für "Marvel Strike Teams"